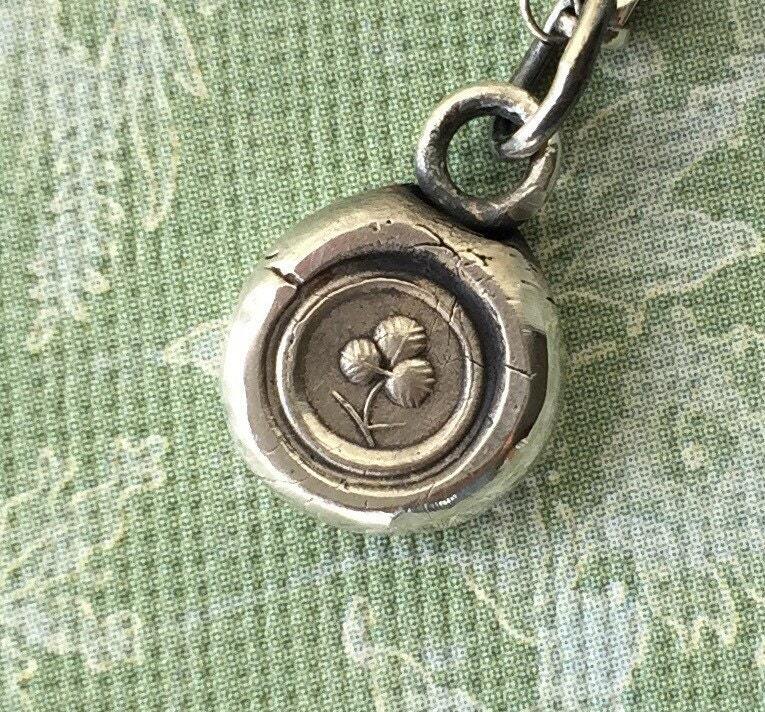 Sterling silver, Shamrock, wax seal amulet. Irish emblem, antique seal impression. 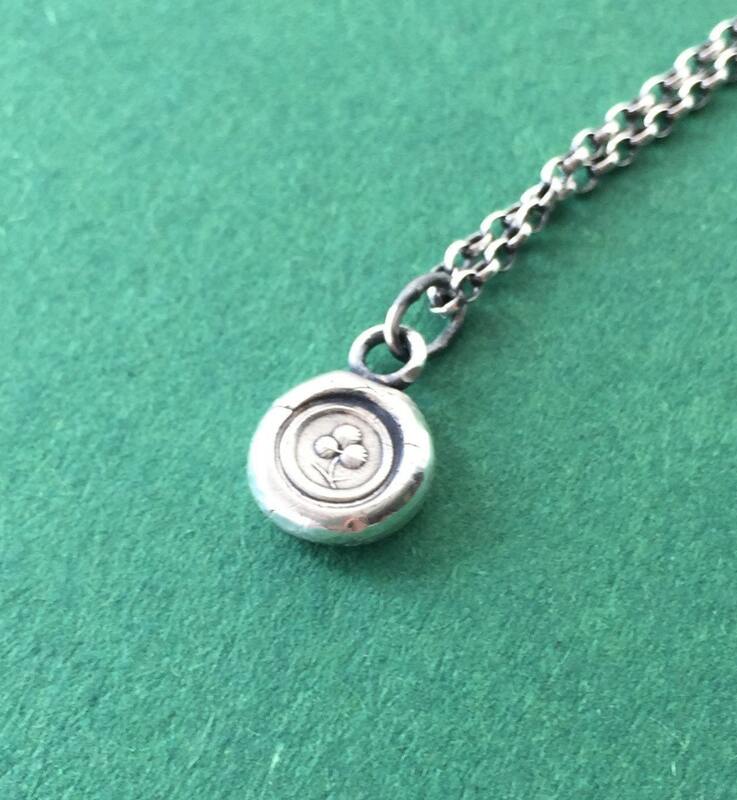 Lucky symbol. This seal is tiny... It's one of the smallest ones in the shop. It measures approx 9mm across (this is approx. As each one is hand made). 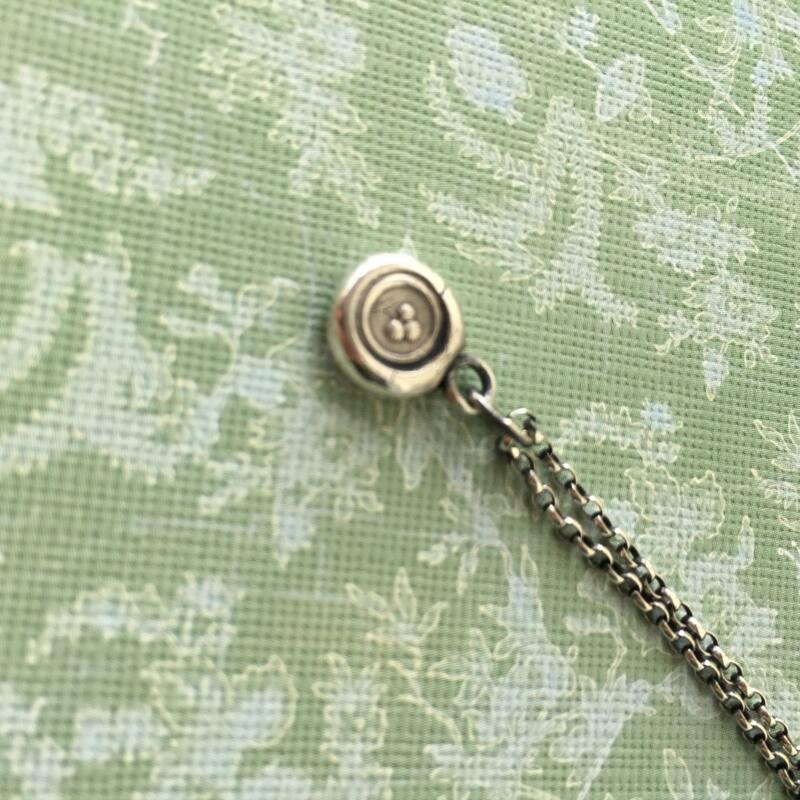 It features the image of the shamrock. The shamrock is an official emblem of Ireland. Shamrock is said to be lucky and is often used as a good luck symbol. 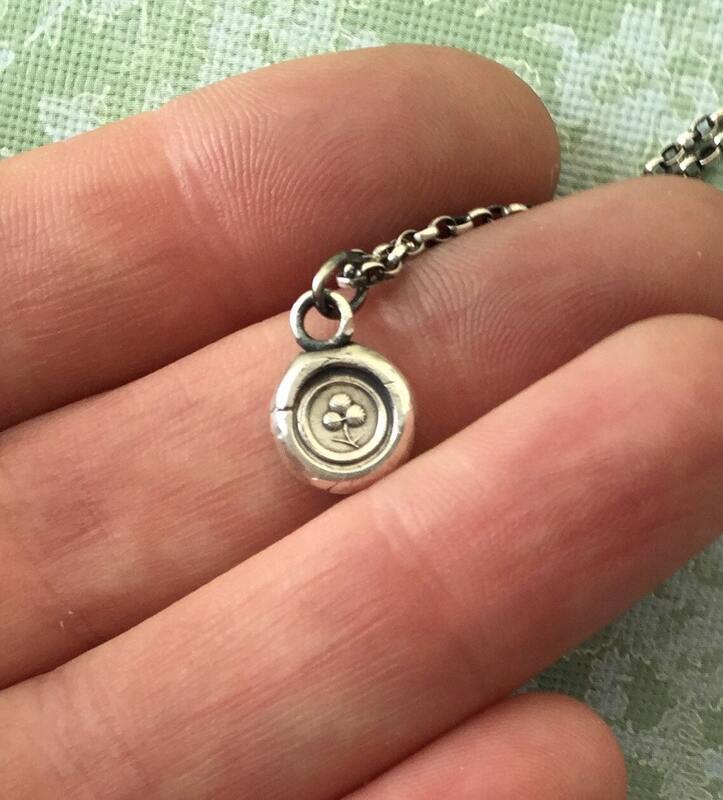 This amulet was made from sterling silver. Each piece by SWALK is made individually by hand. This amulet measures approx. 9mm across it may look bigger in the pictures.... But it is one of the smallest seals in the shop. 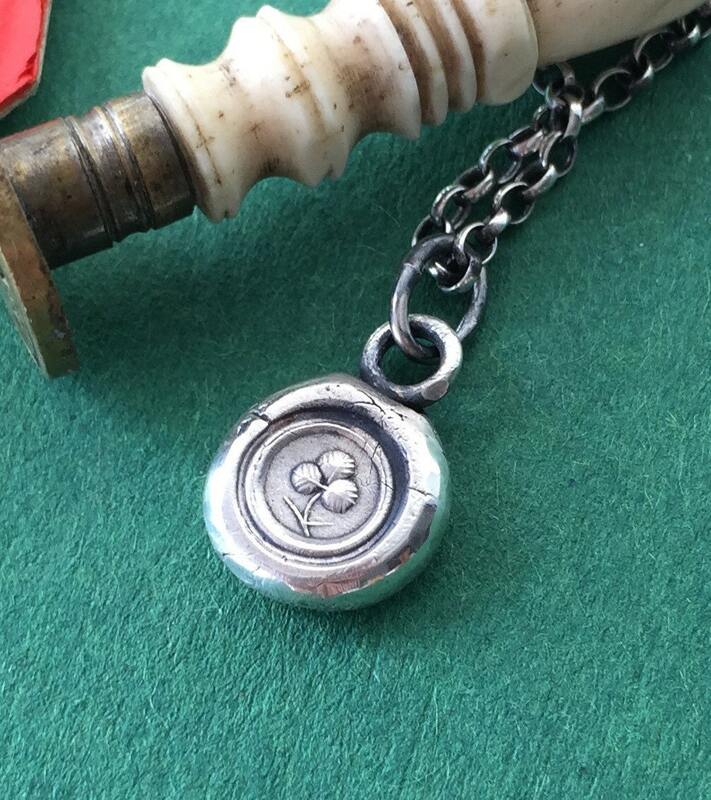 The back of the amulet is stamped .925 and SWALK on the reverse.